Scientists from the University of Washington have developed a technology called Power Over Wi-Fi, which will allow gadgets to charge through a Wi-Fi network . 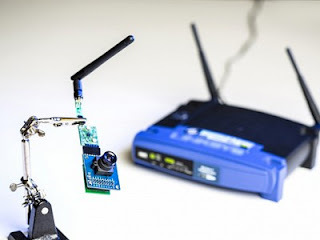 According to the authors of the project , with the help of Wi-Fi network they managed to secure a power which can transfer sufficient energy to your phone. In addition, the technology known as Power Over Wi-Fi which looks like a special camera module will enable you charge your phone from 0 to 41% in 2.5 hours. With a distance of 8.5 meters from the source. One of the main advantages of technology Power Over Wi-Fi is that it allows you to charge various mobile devices, and use the wireless network to browse at the same time. Scientists say that the transmission of data and energy in this case does not interfere with each other. However, while talking about charging smartphones or tablets is too early. At this stage, experts say that the technology is suitable for charging devices with low energy consumption. The Scientists promise to tell about the development in more detail at the conference CoNEXT 2015 next month.